It will remind you of a walk in the country on a warm spring day. 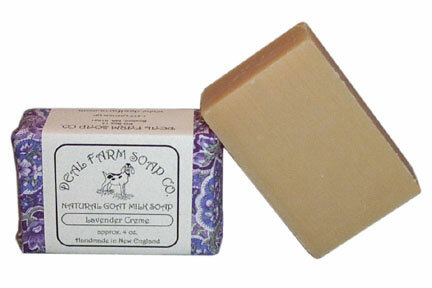 Pure lavender essential oil gives this bar it’s clean, relaxing scent. The benefits of lavender in aromatherapy are many. It is especially well known for it’s soothing and healing effects. This soap is smooth and creamy with a luxurious lather. Recommended for all skin types. Especially good for sensitive skin.